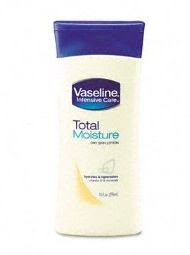 Vaseline Intensive care - Total Moisture Dry Skin Lotion seems to be a good product. I’ve used it and it has certainly worked to my advantage. Especially in winter when my skin becomes a bit rough and dry, I need to apply a good hand and body lotion several times a day and this came in handy. Though it’s a little sticky, it does get soaked into the skin fully. Mildly scented and enriched with vitamins E & A and other essential minerals it nourishes dry skin on hands and legs considerably well, leaving it smooth and silky. You can see the effects within 4-5 days of application; just move your hand over your skin and you can feel that smoothness instantly. Ideal for dry skin and in winter. It is totally fine to use it on your face, But not too much because it may clog your pores. Great and very interesting blog! Thanks for you positive comments and glad you are finding this blog valuable.